The Ria Formosa lagoon attracted human occupants since pre-historic times. This is where the history of Faro begins. Many people settled here and fortified a settlement long before the Romans transformed it into a town called Ossonoba. The Romans rebuilt the wall around the main city area, which corresponds now to the Old Town, where the forum, the temples and other public buildings were situated. In the Roman period the town grew outside the city walls, where a second quarter consisted mainly in rich patrician houses. 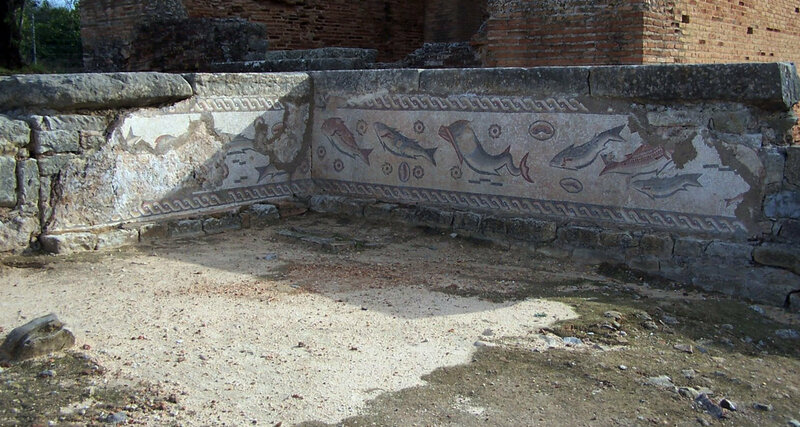 In the region of Ossonoba there were other large patrician villas, as for example in Milreu (9 km north of Faro), where important Roman ruins still can be visited. Faro became a Bishop’s seat in the 4th century and kept it even after the Visigoth occupation in the 5th century. These people of Germanic origin, ruled the city until the Moors conquered and occupied it in the 8th century and improved the city wall. The Moorish occupation would last about 500 years. Towards the end of this period, the city became the capital of an independent Moorish kingdom, ruled by a family called Harun, whose name would give origin to the actual name of Faro. Documents (mainly Christian sources) from the period of the Moorish occupation refer to the city sometimes as Ossonoba (the old Roman name), (أخشونبة (ʼUḫšūnubaḧ in Arabic), sometimes as Santa Maria de Hárune. The famous Arabian geographer Edrici wrote: “The town is built near the ocean and its walls are washed by the ocean at high tide. It is a town of a reasonable size and nice outlook. It has a main mosque, a secondary mosque and an oratory”. Of course, Edrici was more interested in the religious buildings, but his description of the city is impressive. The Portuguese king Afonso III conquered Faro in 1249 and integrated it into the Portuguese territory. As it is written in Portuguese chronicles, the city of Faro was defended by strong walls and large wooden doors. In order to enter the city, the Portuguese brought a large quantity of wood, placed it in front of the main city door and burned the wood. 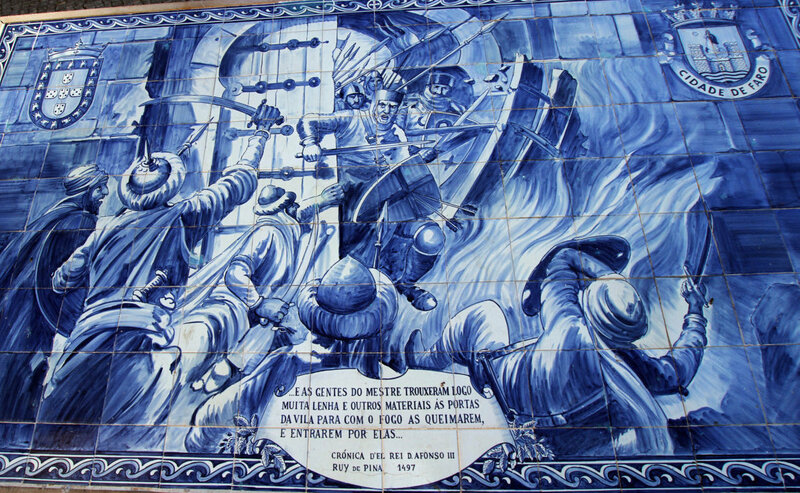 When the door was destroyed, Portuguese soldiers stormed into the city. As in many other conquered cities, the main mosque was replaced by a Christian gothic Church, called Santa Maria church (now Cathedral). 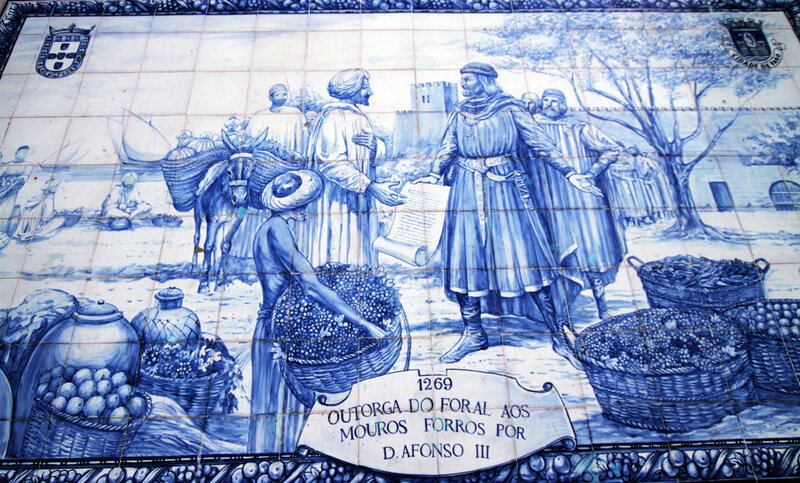 Short after the conquest, the Moorish population that lived in the town (‘Mouros Forros’ in old Portuguese), was granted civil rights and the maintenance of their economical activities, such as farming, trade and handicrafts. During this time, the most important part of the town was still the Inner Town, surrounded by the city wall and inhabited only by the ruling Christians. Outside the city wall there were two other important quarters: the Moorish quarter and the Jewish quarter (situated where now we have the shopping streets). The first book pressed in Portugal was pressed in a Jewish typography of Faro. Faro became once more a bishop`s seat in 1577, being the church of Santa Maria used as Cathedral from now onwards. From the 16th century we have a marvelous building, the Convent of Nossa Senhora da Assunção (now used as the Municipal Museum) and the Bishop`s Palace. In 1596, in a period when Spanish kings ruled Portugal, an English army of about 3000 men, commanded by the Earl of Essex, sacked the town. They burned some buildings and seized the library of the Bishop of Faro. These books were later held in the University of Oxford as part of the Bodleian Library. One of the books included in this library was the first ever printed book in Portugal: a Torah in local Hebrew, printed by Samuel Gacon in Faro. In the 17th century, Faro continued to grow and several religious buildings were built, as well as a new defensive wall, known as “Cerca Seiscentista”. The immediate purpose of this wall was to defend Faro during the wars of the Restoration of the Independence, which lasted for 28 years (1640-1668). Some parts of this wall still exist. The 18th century was a period of economic wealth in the history of Faro, mainly due to the gold from Brazil. 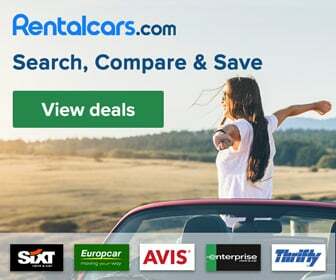 This wealth reflected in the building of nice houses, palaces and some baroque churches, such as the Carmo Church and the São Francisco Church. Both have a rich decoration of gilt carved wood, which (together with glazed tiles) is representative of the Portuguese baroque art. Unfortunately, the earthquake of 1755 destroyed many buildings in Faro. However, the destruction was relatively less than in other cities in the Algarve, due to the sandy banks of the Ria Formosa lagoon protecting the city of Faro. After the earthquake, the capital of the Algarve changed from Lagos to Faro. The earthquake destruction gave opportunity for a large-scale city restoration (mainly in neoclassical style) and the building of a few remarkable buildings. As the Portuguese Catholic Church was still rich, the bishop Francisco Gomes de Avelar ordered the rebuilding of many buildings, as for example the seminary (in front of the cathedral) and the old town’s gate. These works were made by the Genoese architect Francisco Fabri, who also built the Misericórdia hospital (on the edge in front of the town’s gate).